If you have photos you want to share, bring those too! Joseph (Joe) David Atnip of McKinney, TX, formerly of Sherman, died September 23, 2015, at Parkland Hospital in Dallas, TX following a lengthy and courageous battle with cancer. Joe was born to R. L. and Zerma Lea Atnip on November 23, 1951. He graduated from Sherman High School in 1970 and attended Texas Tech University where he worked at Clay Poole & Associates Advertising in Lubbock. While growing up in Sherman, he was an active member of North Park Baptist Church and its Boy Scout Troop 6 where he earned the rank of Eagle Scout and Vigil in the Order of the Arrow. After college he moved to Dallas and worked at KRLD in sales. He went on to earn his real estate brokers’ license and worked in the family business, Atnip & Associates. While in Sherman he served as President of the Grayson County Board of Realtors. Later he moved to the Dallas area working in real estate and settling in McKinney, TX where he owned several real estate companies. During the last few years he worked as an independent associate with LegalShield. On a personal level the family would like you to know that Joe showed his love and sacrifice for his family by donating one of his kidneys to his brother who has survived with the kidney for over 41 years. Besides being passionate about his family, Joe was passionate about his life-long friends, music, camping, scouting, and helping young boys develop into responsible and ethical young men through the scouting programs. He served as the scoutmaster for Troop 303 and was instrumental in the formation of Troop 909 where all 10 founding scouts earned the Eagle rank. Another point of pride for Joe was that he had attended for over 32 years straight the Annual Kerrville Folk Music Festival. It was here that he met Shanna his wife whom he built a life with in McKinney and where they worked together raising their 20 year old son Conner. It was also at the Kerrville Festival where he continued to enjoy the friendship of life-long friends and their families. Even while he was struggling with his illness, he attended the last two festivals in 2014 and 2015. Joe is survived by Shanna Atnip, his wife of 27 years; son, Conner Atnip a student at Texas Tech; sister, Kay (Tom) Carnes of Stuart, FL; and brother, Michael Atnip of Sherman. Also, surviving are cousins Mary Atnip Pasadena, TX; Mary McCord of Garland, TX; Hugh and Gary Brown of Sherman, TX as well as many other cousins in Texas and Oklahoma. Joe is also lovingly remembered by Shanna’s family members including her parents Stanley and Jodeen Stephens of Sedona, AZ, siblings, nieces and nephews, and many loving aunts, uncles, cousins, and family friends. Memorial services will be held on Saturday, September 26, 2015, at 6 PM at the Heard Museum in McKinney (1 Nature Place) TX 75069. . Your next opportunity for a Face to Face Youth Protection Training, required for an adult to be at a Winter, Summer, or Twilight Camp will be at the Bobby Lyle / Billy Gamble Scouting Service Center at Fairview on Saturday, December 5, from 10:00 – 11:30 a.m. As space is limited, registration for this free class is required via CampMaster at https://circle10.camp-master.com/default.aspx. Come find out the latest information in the District and Council and get the latest ideas for your Pack, Troop, Team, or Crew. Every unit should be represented. The Cub Scout Round Table will be working with Special Needs Scouts speaker Michael Hetzel. Units please send leaders that are interested in learning more about how to accommodate scouts with special needs. We will also hold a Twilight Camp Planning Meeting beforehand at 6:45 pm. All packs should be represented. Let them know how much you really do care! The nomination deadline will be around December 31st or so. Please get them in quickly. What: Join us for a Dinner as we give thanks to everyone that made the 2015 Scouting year count! We have surveyed a few packs and they have given us requests for certain pins/adventures needed. We will be offering both Activity Pin requirements for the old program and Adventure Pin requirements for the new program for the following Webelos Awards so bring your Arrow of Light and Webelos!!! We will have visit from McKinney’s First Responders. Your Webelos and Arrow of Light won’t want to miss this. Small Print: Each Scout can take 2 classes. Please email amywitt2@att.net with the classes they want to take. Include your Pack number, Scouts name. Please wear Class A uniforms and bring a water bottle. 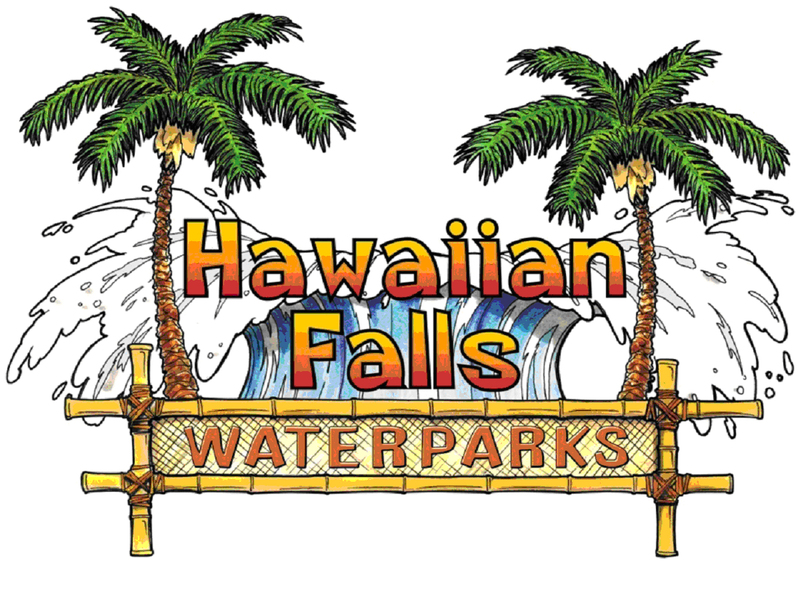 There will need to be 1 Adult for each 5 Webelos in attendance. Interested in becoming a Challenging Outdoor Personal Experience Instructor? Now is your chance. It is at Camp Trevor Rees-Jones November 20 - 22. The Melissa TX Merig Badge clinic has already started and is thus closed to registration but in addition to Merit Badge classes they have adult leader training courses still available on weekend two (November 21st) including a one hour Youth Protection Training and a 3 hour CPR ($45). The CPR class will be held in the Melissa City Hall (2nd Floor) located about 2 minutes away from the LDS Church. Sign up for Face to Face Youth Protection Training Here. Please register here for the Adult CPR class. Haven't signed up yet? You still can but sign up now. See their current flyer here. They are needing OA staff for the Xperience? You can staff the weekend or a few hours. Send Michell Crawford an email if you can help. Our district is invited to a Merit Badge Clinic at the Church of Jesus Christ of Latter-Day Saints in Melissa Texas on November 7th and 21st both days required. To get the best selection of Merit Badge classes offered sign-up early. The event is free but is based on a first come first served basis. Registration closes November 3rd. Get class schedules, more information, and register here. In addition to Merit Badge classes we will have adult leader training courses each weekend including a one hour Youth Protection Training and a 3 hour CPR ($45) that are different each weekend (so sign up for either weekend). The CPR class will be held in the Melissa City Hall (2nd Floor) located about 2 minutes away from the LDS Church. Please register here for the Adult CPR class being on NOVEMBER 7th. Please register here for the Adult CPR class being on NOVEMBER 21st. Charter Organization Representatives and District Committee Members please join us at the Fairview Office to hold our annual business meeting where we vote in the new district leadership for the coming year. Stick around for the District Committee Meeting at 7:30 pm if you can. We would like everyone coming to roundtable, OA meeting and Meet the Troops to be bring canned goods to be delivered to the Community Food Pantry in McKinney. They are very low for this time of year. Webelos come meet the Troops. Troops come meet the Webelos. Each Webelos have a big decision to make and they need some help to make it. They need to pick a troop to join. Come make it easy to find where they fit for the Boy Scout Round Table on Thursday, November 5th. To help with that selection we have a Troop Comparison spreadsheet to share. It is for the McKinney Troops for now. We'll see you on the 5th at 7:30 pm at the Church of Jesus Christ of Latter-Day Saints where Round Table is held each month. Even with the Boy Scout Round Table being the Webelos Meet the Troops night there will still be our other standard Round Table meetings for everyone else. For all units to review how the camp went and get some info on how next year will begin. Cub Scout Round Table - 7:30 pm - The east side of the gym will still be regular Cub Scout Round Table. Venture / Varsity Round Table - Venture and Varsity can still come to their normal Round Table too. Order of the Arrow Chapter Meeting - 7:30 pm - Nothing changing here they are still meeting too. Order of the Arrow we have been called to serve for McKinney Make a Difference Day at the food pantry. The food pantry has asked for us to be in charge of the donations dropped off by McKinney elementary schools. This is nothing like the scale of Scouting for Food. We expect donations from 10 of the schools in McKinney and the donations requested are fruits only. We will accept the donations, sort damaged and out of dates and then sort by fruit type. The times will be from 8am-12pm on October 24. Please let me know if you will be able to attend. Scouts/adults that register with me by Monday evening, 10/12, will get a Make a Difference Day shirt. $13 early or $17 late (includes Venturing Leader Manual) Sign up & get details here. $3 early or $5 late. Sign up & get details here. $3 early or $5 late Sign up & get details here. Also see the free Face to Face Youth Protection Trainings at the Merit Badge Clinic in Melissa below on November 7th and 21st. $5 early or $8 late reg. (Free) Sign up and get details here. The early bird deadline has been extended to October 18th. Sign up now. Charter Organization Representatives and District Committee Members please join us at the Church of Jesus Christ of Latter-Day Saints where we hold Round Table at to hold our annual business meeting where we vote in the new district leadership for the coming year. The mailed invitation was wrong listing it at the Fairview Scout Office. It will be at the building mentioned above; 2801 Eldorado Parkway, McKinney, TX. at Texas Archery Academy's McKinney Range from 9:00am to 12:30pm. The Cost of the class is $25. Email Terry Witt at TerryWitt2@att.net to register and for more information. This is a busy week. Webelos Dens, Troops, and Crews this is your chance; Signup for WOW is now available. Come introduce the Webelos to your units to have some fun and help them make their crossover choices next February. Joe Atnip, died September 23, 2015, at Parkland Hospital following a lengthy and courageous battle with cancer. at Texas Archery Academy's Plano Range from 9:00am to 12:30pm. The Cost of the class is $25. Email Terry Witt at TerryWitt2@att.net to register and for more information. Are you in need of Den Leader training? The council is holding a training before our district training on October 20? It is one down at Camp Wisdom in south Dallas. Session 2 1:30 p.m. – 4:30 p.m.
All new and existing Cub Scout Leaders are welcome to bring your Scouts for fun-filled activities while you are in training. Come join us for Roundtable the first Thursday of each month. This month we have a CUBe planning meeting beforehand. See you then. Cub Scout Round Table - See you Thursday! Remember Scout Round Table is starting up again at 7:00PM this Thursday, same place as usual. There will be door prizes for the first 15 Scouters that introduce themselves to a Round Table Committee Member and say “I want to learn about Troop Guides and Junior Assistant Scout Masters”. That’s right, give our boys some responsibility and they will rise to the challenge and exceed expectations. Come learn all about it so you can sit back, relax and let the boys run the show. It will benefit you and them. We look forward to seeing everyone Thursday! Packs come to the Fairview Office at 6:30 on Wednesday, August 26th for a Join Scouting Night Training. Hope you all had a good summer. Come catch back up with Scouting with us this Thursday at 7:30 pm. Calling all scouts. Come take an Archery Merit Badge Class at the Texas Archery Academy Plano Range on July 18th from 8:45am to 12:30pm Cost is $25 per scout. Email Terry Witt at TerryWitt2@att.net to reserve a spot and to receive your Archery Merit Badge worksheets. No Round Table for the month of July. See you the first Thursday of August. Leaders, the Council and District are working to get to 100% trained leaders. We need your help with the following. Seek out the trainings we offer in the Lone Star District or reach out to neighboring Districts ASAP. Email training@lonestardistrict.org if you have any questions. We'll be reaching out to each unit. Your help would be appreciated. 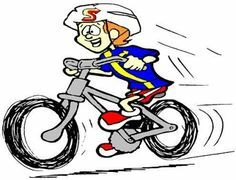 Troop 135 invites everyone to a bike rodeo this Saturday, June 6th at Wesley United Methodist Church. There will be professional bike safety checks with Cadence Cyclery of McKinney. Come meet the McKinney Police Department Bike Safety Officers. Who: ANYONE with a bicycle. Mark your Calendars for Twilight Camp June 8-12! LoneStar District is in need of Junior Volunteers to help out at Twilight Camp. This is a great opportunity to earn service hours. Scouts must be 1st Class or at least 14 years old. Camp is June 8-12th Myers Park 4 to 9PM. Please contact Toni Taylor to register toni@taylorinet.com 214.592.2286. Contact Gloria Albertson @ her email or Toni Taylor toni@taylorinet.com with any questions regarding camp. Twilight Camp, June 8 - 12, 2015 - See map here. Calling the OA. Come setup tents at Camp James Ray and get a Special Patch. Let Bill Fisher know. Please send your Pack coordinator to help us plan camp and get information to bring back to the Pack. We meet the 1st Thursday of every month at 6:45 at LDS Church..
LoneStar District Scouts are invited to participate in the Memorial Day Tribute & Parade @ Pecan Grove Cemetery to honor those men and women who died while serving in the U.S. military in observance of Memorial Day. This counts toward service hours. Scouts, Leaders, and Parents come join us for a very special Round Table. One where we present the calendar of events for the Lone Star District and Council for the 2015 - 2016 school year. You wont want to miss this. NOTE: We are starting at 7 pm instead of 7:30 to get through all of our content. We have a nice program being prepared. Please come and join us. This is at the same place as our monthly 1st Thursday Round Table; The Church of Jesus Christ of Latter-Day Saints, 2801 Eldorado Pkwy, McKinney, TX. See you there. Is your unit going on a high adventure? Do you have your required Widerness First Aid training done? Would you like to take it right here in our district by someone from our district? Classes held at St. Gabriel Catholic Church in the St. Elizabeth room (east hall). Cost is $125. On May 9, the USPS Stamp Out Hunger Food Drive will happen. We will need help staffing at the Community Food Pantry at 307 Smith St, Mckinney. We will be collecting the donations from the mail carriers, sorting out of date/damaged items and sort goods to be stored at the pantry. Last year, this drive collected over 20,000 canned goods. Because the food pantry is run entirely by volunteers, this drive could not happen without our support. If that were to happen, individuals, families and children would certainly go hungry. Finally, all volunteers will need to complete pantry training. There will be a training class held at the pantry on Saturday at noon. There will be another training at Trinity Presbyterian Church on Monday, May 4 at 7pm. If you have any questions, feel free to contact me at this email or 214-793-2933. Program Preview, May 7 at 7 pm sharp - Come and learn what is coming up this next year in the district and council. Troops come and pick up corrected patches for Camporee. Old patches do not need to be turned in. 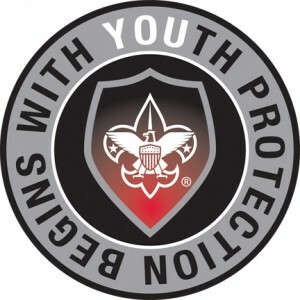 Sign up at Council Face to Face Youth Protection Trainings here at Campmaster. Intro. to Outdoor Leader Skills – Needed by Troop SM, Varsity Team Coaches, and strongly suggested for Crew Advisors and assistants. Sign up for IOLS here. Come have an awesome time and get trained at our local training for youth by youth at the end of April. At Lakeland Park on Lake Lavon. A boy led, district run, skills and leadership course for the boy leaders of your units. Adjacent to the IOLS adult training. IOLS, Introduction to Outdoor Leader Skills, April 21, 24-25, 2015 - Filling up quick. Hurry! Oak Leaf Youth Training, April 24-25 - Still time to sign up but do so quickly! FC Dallas is taking on Toronto FC on Saturday, April 18th - Discount Ticket's for Scouters Available. The Boy Scout Round Table topic is "Troop Meetings, let's make them ROCK". Bill Fisher will also review some highlights of Camporee and get your feedback. Cub Scout Leaders will be prepared for upcoming months. We are also having a meeting before Round Table for Twilight Camp at 6:45 pm. All units should be represented at Round Table. Order of the Arrow members are encouraged to come to chapter meetings. They are better when you are there. All Packs shoulid be represented at the Twilight Camp meeting. Still need Scoutmaster Leader Specific? Come take from the guys who wrote the syllabus on Saturday, April 11th in Westlake. It will be from 8 am to 1 pm and includes lunch. See their flyer for more information here. Sign up here. Then come and take Introduction to Outdoor Leader Skills with us. It's not too late to sign up for Wood Badge 113! Set aside the last weekend of March for the District Camporee. We would love to see you there. We will be at the WWII POW Camp in Princeton, TX again. See you there. We are holding meetings before Round Table at 6:45 pm and would love to have someone from your unit there to help plan. In fact the March Round Table is all about Camporee. Come and hear all about it. The Princeton Fire Department is offering three Merit Badges; First Aid, Fire Safety, and Emergency Prep. Get more details on our Camporee page. Registration is up now! LSOC 2015 Results are posted under the Activities Tab. Scoutmasters, Varsity Coaches, Venturing Advisors, assistants, Team and Crew Committees, and Charter Organization Representatives please join us for Leader Specific Trainings just for you on Tuesday and / or Thursday, March 17th and 19th. (both days required, includes SM handbook) Sign up & get details here. Sign up & get details here. Postponed to implement new syllabus. (both days required, includes Venturing Leader Manual) Sign up & get details here. Sign up & get details here. Calling all racers! The Lone Star District is proud to announce the Pinewood Derby Championship. This is for the top two fastest racers per rank per pack. There is also a design contest of one scout per rank per pack and three at large participants per pack. There will be trophies and the title of District Champion per rank. See the flyer and rules here. Lone Star District is pleased to announce a Archery Level 1 Training by our very own Amy Witt. It will be held on Tuesday, March 17th from 6:30 to 10 pm for the classroom portion at the Church of Jesus Christ of Latter-Day Saints where we hold Round Table, 2801 Eldorado Pkwy, McKinney, TX. The portion at an archery range will be held Saturday, March 21st, at TXAA in McKinney from 9 am to noon. The cost is $50 for materials and range fees. Preregistration and payment is required at least two weeks in advance of the training. We don't have plans to postpone if it rains. Plan B is to move inside to the barn. If for some reason we had to postpone, we would do something at Camporee like last year. See our map and backup location here. District Crossover Sign Up See map here. Be sure and sign up online so we know you are coming and so we'll have enough totems. Scouting for Food pick-up is February 14. The Order of the Arrow chapter will be staffing the McKinney Food Pantry and processing the donations that are picked up by the units from 10am-5pm. We will need lots of help an are asking all chapter members to consider helping. Shifts are from 10-3 and 12-5 but feel free to come even if you can only staff a little while. Everyone who comes out will be entered into a drawing for a door prize. And it's a great way to give to your community! Let us know if you can be there by posting here or emailing Michell Crawford at Crawford-clan@sbcglobal.net. Would you like to make some simple money for your unit? Sign up for camp cards by February 13th and you are set. Come get the cards you signed up for and get some information to help you sell. Location is at where we hold Round Table at, 2801 Eldorado Pkwy, McKinney, TX. Sign up for the District Eagle Recognition and Award Dinner now. It is this weekend, February 7th, 5 pm at Christ Fellowship Church; 2801 Orchid Dr, McKinney. Seats are $15 each through February 3rd. 2014 Eagles eat free! Round Table is this week. Join us this Thursday, February 5th, at 7:30 pm at the LDS Building, 2801 Eldorado Pkwy, McKinney, TX. We are also having meetings before Round Table for Camporee and Twilight Camp at 6:45 pm. Order of the Arrow Chapter meeting is also this week at the same place and time of Round Table. The Boy Scout Round Table topic is Varsity Teams with a Q & A. We are also having meetings before Round Table for Camporee and Twilight Camp at 6:45 pm. All Troops should be represented at the Camporee meeting. What: Join us for a Dinner as we give thanks to everyone that made the 2014 Scouting year count! Cost: $15 per person if registered by February 3rd. Eagles are free. After February 3rd the price is $20. Why – Proceeds go to the Wood Badge Scholarship fund to make sure everyone has an opportunity to be trained and have FUN! Admission is only $15 – do not bring a dish, just bring yourself and enjoy the excitement of Wood Badge and the company of your friends. Dinner will be Bar-b-que. Please register via Campmaster on Circle Ten’s website to help us get an accurate head count but you may also pay at the door. Make Plans Now to Join Us For A Fireside Chat! You will be able to give feedback on items that are important to you and items that will impact our upcoming 2016 - 2020 Strategic Plan. Some of the topics will include camp improvements, adult leader training, unit and council finances, impacting more youth in our communities and whatever else may be on your mind. Join us at the one in our own back yard. The 3rd Annual Lone Star Orienteering Challenge (LSOC) will be at held beautiful Camp James Ray on 1/23/15 –1/25/15. LSOC is a competitive sport orienteering event for Boy Scout Troops, Venturing Crews, Varsity Teams, and Webelos dens. Using a map, compass and their smarts, small teams navigate their way to control flags on a course to score points within a set time. This is a great activity for all skill levels- Scouts and Scouters alike. Click here to Take the Challenge and get event details! Pack Coordinators are responsible for attending monthly meetings prior to Roundtable, promoting camp to their Pack as well as collecting all paperwork and payments from their Unit for turn in. We will provide a spreadsheet for the coordinators to check off what is needed for each registrant. Paperwork (BSA Medical A/B with tetanus date, plus Insurance card front/back). All adults will need YPT face to face. Staff will need to be CPR certified. All paperwork will be handed in by appointment to Twilight Camp Coordinators. The Fee for Scouts is $65.00 until April 17th, price will increase to $80.00 thereafter. WDL (Walking Den Leader) & Staff fee is $15.00. Papoose (siblings 3 (potty trained)-10) fee is $25.00. Staff Papoose fee is ½ price. Jr Volunteers that Staff-No Fee. District Award Nominations are still being accepted for a limited time. Presented at the District Dinner on Feb 7. Award Nominations - Hurry, time is running out! Round Table is this week. Join us this Thursday, January 8th, at 7:30 pm at the LDS Building, 2801 Eldorado Pkwy, McKinney, TX. We are also having meetings before Round Table for Camporee and Twilight Camp at 6:45 pm. Round Table is this week. Join us at 7:30 pm at the LDS Building, 2801 Eldorado Pkwy, McKinney, TX. The Boy Scout Round Table topic is Recharter Q & A. There will be an Archery Merit Badge Class - Texas Archery Academy Plano Range January 10th, 2015 from 8:45am to 12:30pm Cost is $25 per scout. Email Terry Witt at TerryWitt2@att.net to reserve a spot and to receive your Archery Merit Badge worksheets. University of Scouting Registration is ready. Sign up Now! The University of Scouting, coming up on Saturday, January 3, 2015 from 7 am until 5 pm at SMU, is an adult leader’s learning adventure! It is an action-packed,fun-filled single day of supplemental training where you choose the sessions you wish to take. Sessions are led by experienced volunteers and professionals who will help you enhance your ability to deliver a fun and exciting program to the scouts. It is $35 through Dec 29, or $40 at door.